Jeff and Aaron worked on installing a French drain in our side yard yesterday. 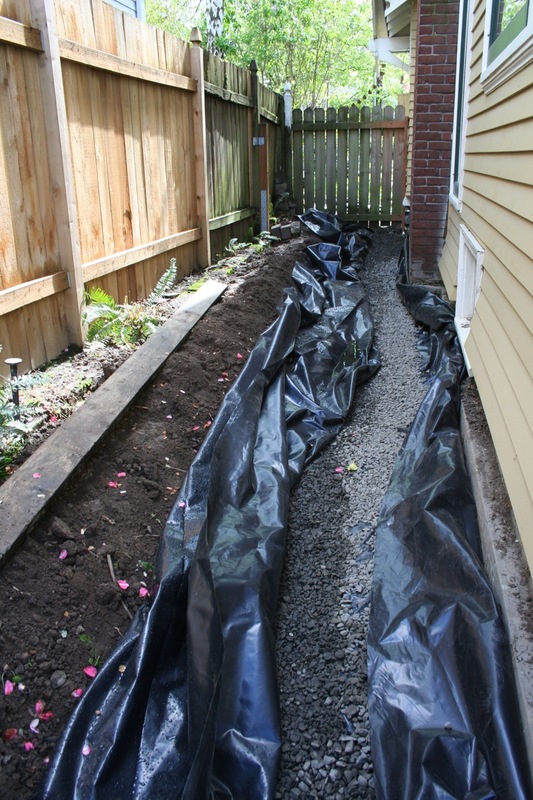 Rainfall in Portland was heavy this winter and we struggled with water infiltration into our basement. We had to pick up and deal with a wet rug three times; we finally just rolled the rug up and tucked it away. 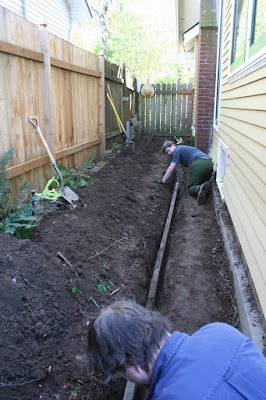 Since sloping the soil outside wasn't enough, Jeff decided to try a French drain to solve the water drainage problem. This was our side yard yesterday morning. It took quite a while to relocate the ferns and remove two large shrubs, including the trunks. 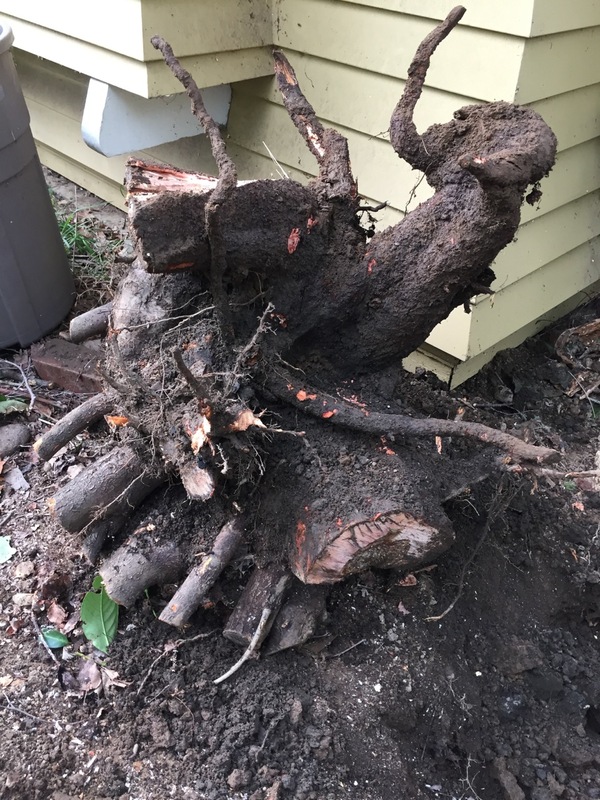 They had to come out because we didn't want their root systems to puncture the plastic. The guys spent quite a lot of time trying to get the slope correct on the ditch. 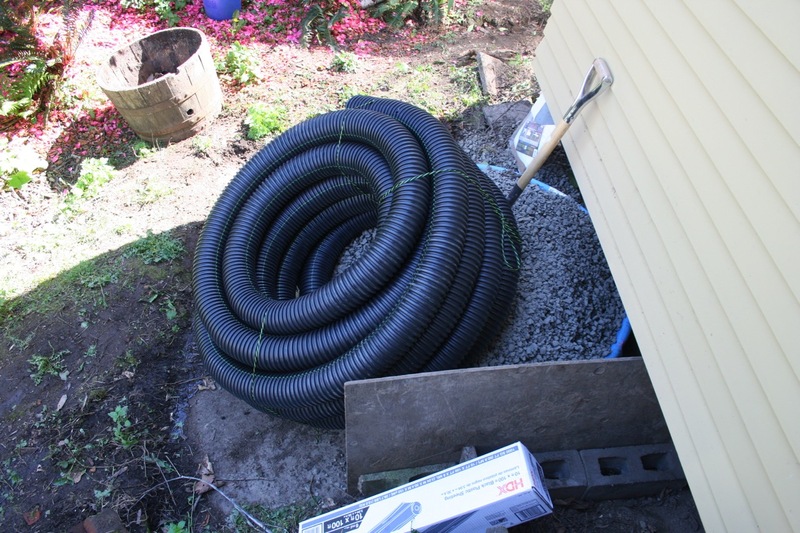 This drain pipe basically goes from the front yard rain garden to the one in the backyard with a high point near the front of the house. After they got the slope correct, they put in some gravel in any low spots, put down the heavy plastic sheeting, put in the perforated pipe (which was encased in a water-permeable sleeve to prevent dirt from getting into it) then filled the ditch with gravel. They used about a yard of gravel. This is how it looks this afternoon. They need to get many more loads of gravel. 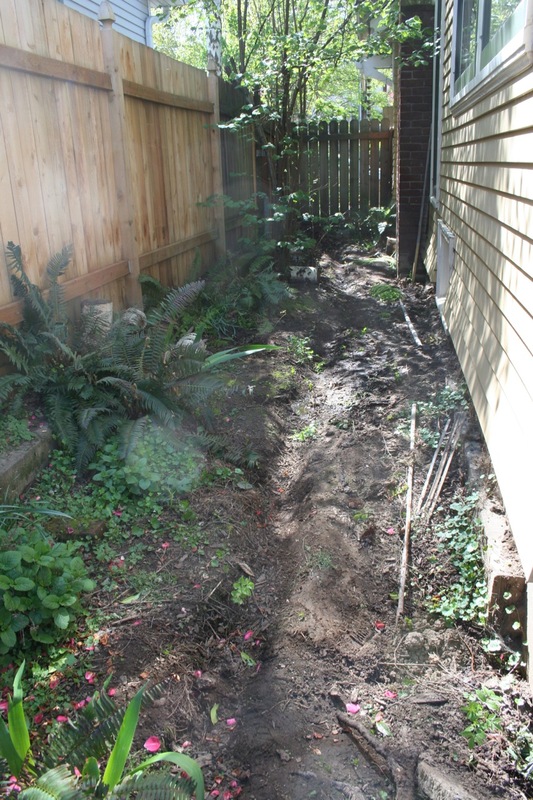 Then he'll probably put down some sort of step stones and some sort of planters, but we won't be planting large plants over here anymore. Jeff's current plan calls for some sort of staggered vertical planter on the fence side of this so we'll have a lovely view out the windows.